Franklin Vintage is an elegant photo book with text by Sinclair Powell. It contains over 400 pages and 650 photographs detailing Franklin's rich history. To order, either click below to order online via PayPal* (prices include shipping and handling), or print the page below and fill in the mail-in form. Proceeds of the sale of this book benefit the H H Franklin Club Library Digitization Project. 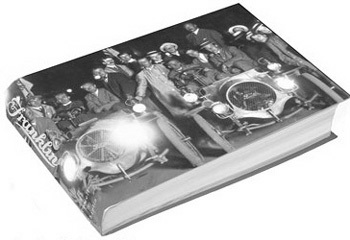 Please Send me _____ copies of the Franklin Vintage photo book. "The H H Franklin Club, Inc."